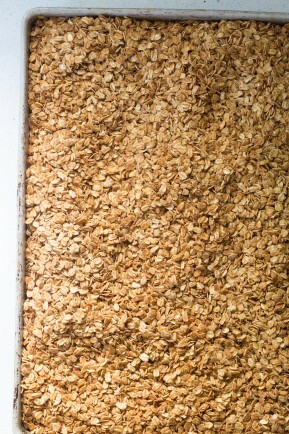 I love making granola and ever since I started a few years back I have never looked back. Store bought brands are way too expensive and varieties are made with tons of sugar and basically just oats. 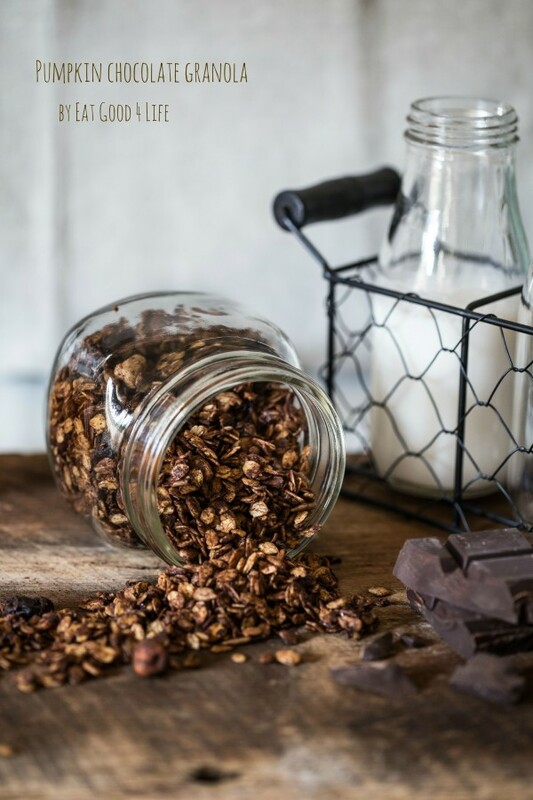 This pumpkin chocolate granola has become one of my favorites granola recipes of all times! 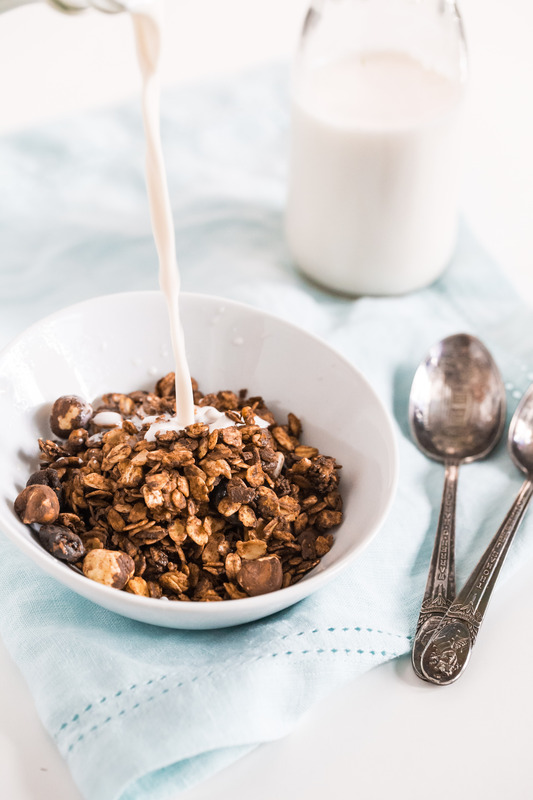 Have you made your own granola before? Once you start making your own granola, trust me, you will never go back to store bought! 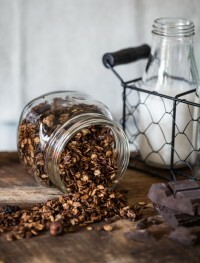 For this pumpkin chocolate granola, you can add any other nuts of your choice. I only had hazelnuts and sunflower seeds on hand but any other type will do as well. 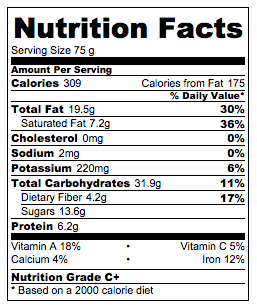 The same goes for the dried fruit. I added cranberries but raisins or any other dried fruit will work. I actually consume this pumpkin chocolate granola several ways. I normally have it with Greek yogurt but sometimes I will have it with ice cream as well as with milk. Granola makes a great gift. Each time I make it I tend to give some to my neighbor and best friends. Because the recipe calls for such a large amount of granola there is always enough to give some away. I actually tend to make more than what calls for here but you can make half of it if you like. I have huge two huge anchor hocking containers that I use to keep my granola. 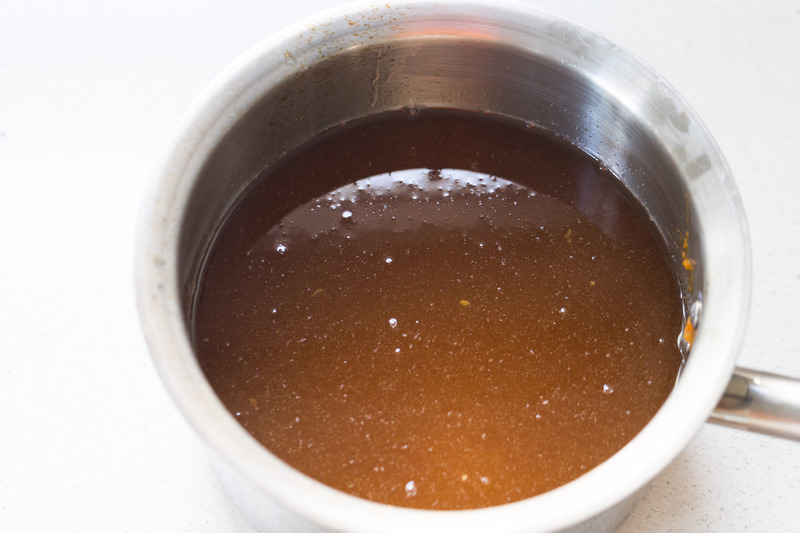 It will keep for at least 1 month in your kitchen counter so don’t be afraid of having so much of it. It will get eaten, trust me! 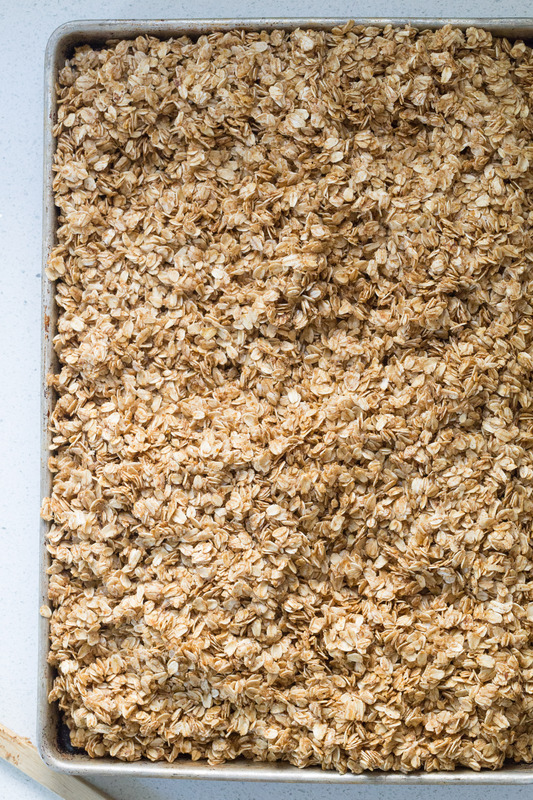 If you haven’t started making your own granola you really should. Start with this pumpkin chocolate granola version. You will love it! In a extra-large mixing bowl add the rolled oats and pumpkin spice. 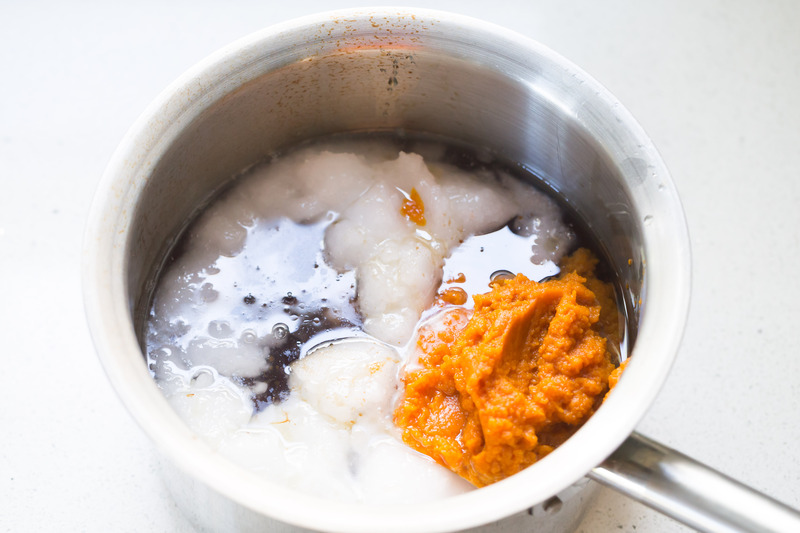 In a sauce pan add the maple syrup, coconut oil and pumpkin puree. Heat until the mixture is combined. 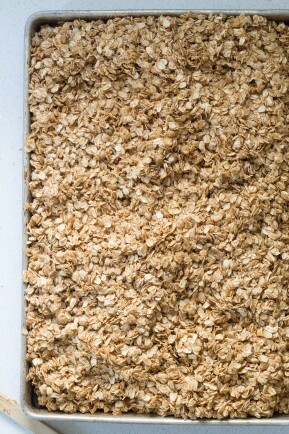 Pour this mixture over the oats and coat the rolled oats with it. I do this step with my hands. Divide mixture between four baking sheets. Bake the granola for 30 minutes. Remove it from the oven and transfer the granola to the extra-large mixing bowl. Divide the granola between the baking sheets again and bake for another 30 minutes repeating this procedure once more for a total of 3 times until the granola is dried and toasted. 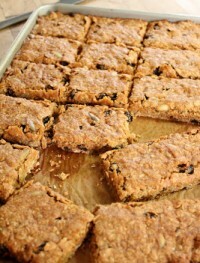 Remove the granola from the oven and add the rest nuts, cranberries, sunflower seeds and chocolate. With a spatula, mix well until all the ingredients are combined. The chocolate will melt but that is what you want. Let the granola cool completely. Store granola in the anchor hocking containers for up to 6 weeks. Note: You can half this recipe if you don't want to make so much granola. I tend to make even more!